Russia decided to put an end to this. Russia’s presidency formally began in May, meaning it has less than three months to set up the summit; the 2016 summit in China will be the result of a fully fledged year-long presidency. 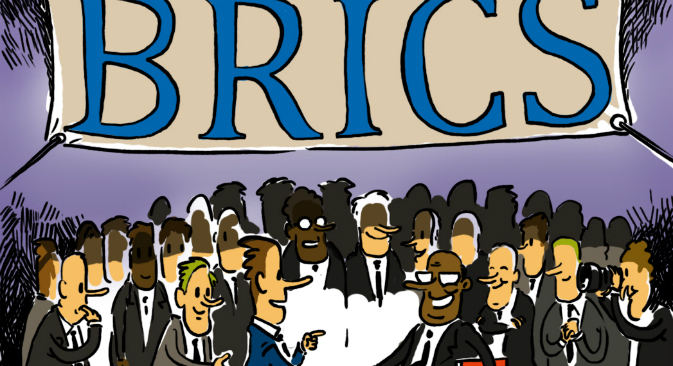 Already within the framework of its management, Russia is doing its best to expand the agenda: the Kremlin has asked all federal agencies to present their proposals concerning co-operation with BRICS. As a result, the Ufa summit’s agenda has a total of 130 points. The May 9 Victory Day Parade on Red Square became another important symbol of Russia’s international isolation. Now, in Ufa, the Russian administration will have an opportunity to present the country as a leader of the non-western world. Presidency of the BRICS will allow Moscow to position itself as a participant of an association that offers an alternative to the global world order. In the company of the largest economy in the world (at least that is how the IMF estimates China’s GDP in relation to its purchasing power parity) and the dynamic leaders of South Asia, Latin America and Africa, Moscow can confidently say that it does not intend to return to the G8, even if it is suddenly invited back. Therefore, any practical result obtained during the Ufa summit will be less significant than the symbolic meaning of the event, since the creation of new ideas has for now been the only field where the BRICS was able to prove itself. Alexander Gabuev is director of the Russia in the Pacific Rim Region programme at Moscow’s Carnegie Centre.